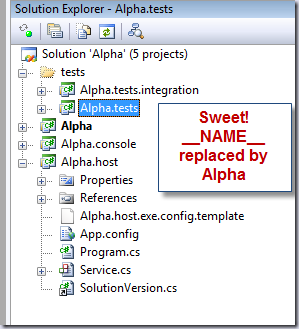 What if there was a tool out there that could let you specify a structure for a project (visual studio solution + everything else) and save you up to 3+ hours of work every time you started a new project? 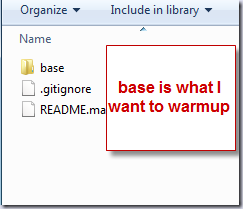 Warmup was an idea by Dru Sellers to remove all of the setup work required every time you set up a new project. You know, create the solution, add projects, put in your references, etc. Then how about getting the infrastructure for your service/website/console set up as well with things like IoC, etc? What about patterns and other pet items that you put in any project? Yeah – there’s an app for that. And it’s pretty simple to use. Plus you can change your templates when you have new ideas, so it’s totally rockstar! 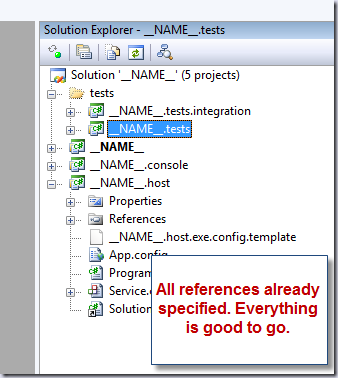 The first thing you do is to set up templates somewhere in source control (svn or git). 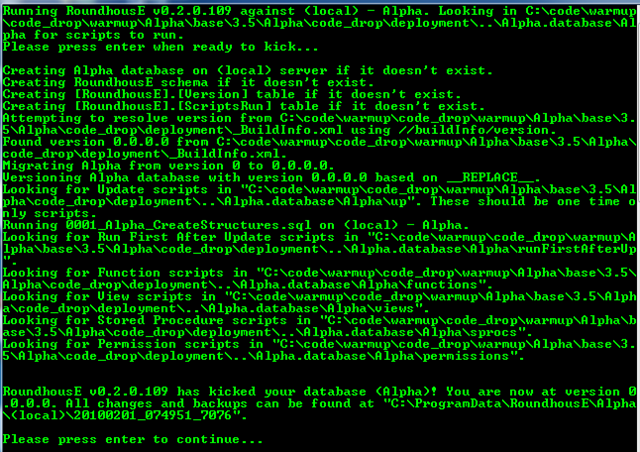 Then you specify where that is to the configuration and what type of source control. Then you run a simple command. 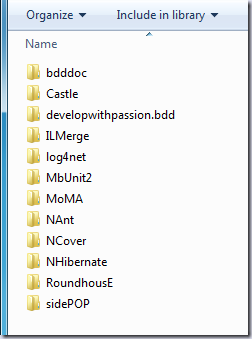 If base was one of the folders below the directory above my source control, then that is what I would specify as the first argument. I specify nameofProject. 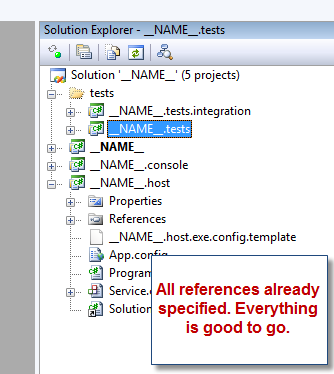 That is what I want my project to be named when I am complete. 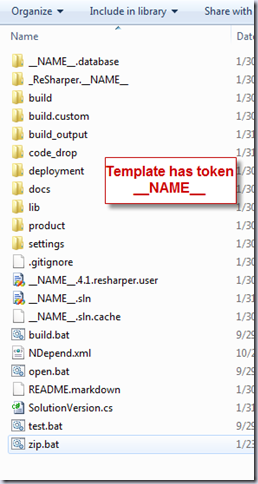 Let’s start by taking a look at the base template. The basic idea here is simple. Place __NAME__ everywhere you want to be replaced when running Warmup. 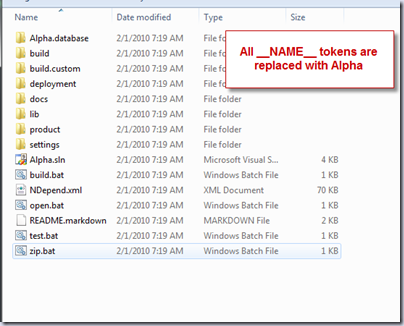 In the same way UppercuT does token replacement with ConfigBuilder, DocBuilder, SqlBuilder, and DeployBuilder, Warmup does token replacement for an entire solution. 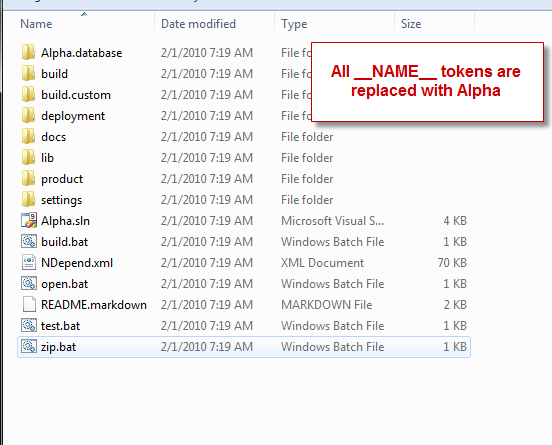 If we were to look at some of the files you would see the absolute depth of how naming really can be replaced. Let’s take a look at the solution though, that will hold quite a bit of meaning for you. Now that we have our template all set up, we have one thing to do. 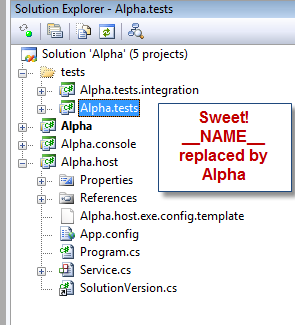 Open our .sln file in Notepad and delete the first line (not sure what happens here, but this works). Microsoft should be on the first line when we are done. And now our template is all ready, so we check our changes into source. If we are using git, we need to push back to the repository we are looking at after we finish committing. Now that we’ve seen our template, let’s run Warmup. 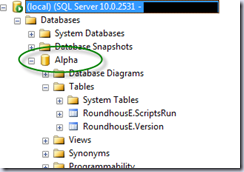 Let’s call the new project Alpha. 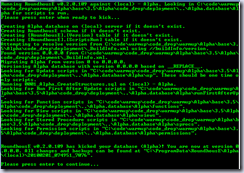 I open a command line and run build.bat. I get a successful build with 31 passing tests! 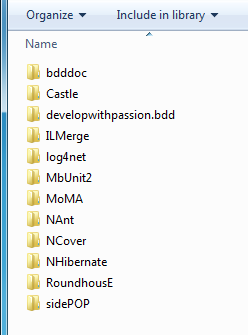 If I were to go to the code_drop folder, I’m all ready to deploy if I had my deployment framework already here. I have an entire structure that allows me to just concentrate on the stories at hand. Warmup may not be the best thing since sliced bread, but it’s going to save you oodles of time! 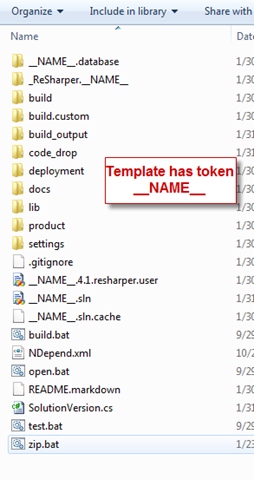 If you know someone else that has create a template you want to use and it’s shared publicly, you can just edit the config file to point there. 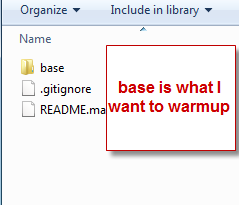 We have been using warmup for close to 3 months now and it saves us a bunch of time. Plus we find more and more things we can put back into the templates to save us time. I believe this aspect of learning and growing your templates over time is the intention of warmup. Plus your template may not be the same as mine and that’s completely cool! Thanks, this is a great idea. I'm going to try this out!